Downloading many songs from the internet is a very common hobby. Some even download the full artist’s album or a complete collection of podcasts. However, it's common to delete MP3 files. Also unforeseen instances may cause MP3 files to be deleted. A virus or malware attack on the computer is a common reason. If your MP3 files have suddenly gone missing and you want to get them back, you only have two options. First is to go back to the original source and download them again. The second option is to get an MP3 file recovery program to do the trick. Recovering your hundreds of MP3 files should be an easy thing if you have WS Data Recovery installed. 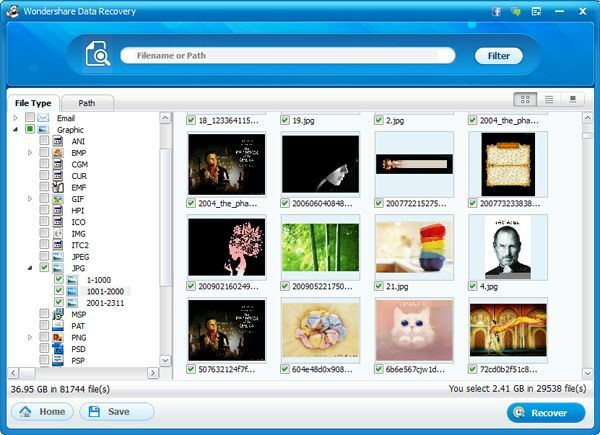 This is a very helpful software that can recover 500 file types apart from MP3s. It works with just about any file or document that you've lost due to unfortunate instances. Get it for free now. Note: Recover MP3 files (up to 100MB) for FREE with the Windows version. Install MP3 recovery software to an external HDD or a partition your MP3 flies don't reside in. 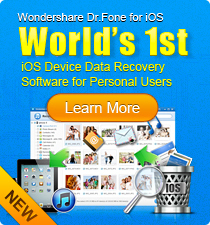 Download and install Wondershare Data Recovery for a hassle-free MP3 recovery. The software comes with a free trial version that allows users to restore up to 100MB worth of files. This software can be used with both Windows and Macintosh computers, running at least XP or OS 10.5 respectively. Here takes the Windows version for example. Choose the wizard mode to recover MP3 files by answering questions step by step. Scan and recover MP3 files to another partition or disk. An MP3 is the most popular audio file today. It are used not just on computers but on portable devices as well, usually to play back the songs of a popular artist, a podcast, an audio stream, and almost all other types of recordings. MP3 files are small, portable, and are of high quality audio which are easily downloaded or purchased over the internet. Download WS MP3 Recovery for Mac software now to recover lost MP3 files in a few mouse clicks.